Take the scenic route on Historic Highway 30 from the heart of Portland to your first Wonder, the Oregon Coast. This route will take you north past Sauvie Island, where you can stop at roadside farm stands and berry fields to enjoy some local flavor. Stop off in Scappoose Bay for some flat-water kayaking on the Columbia River. 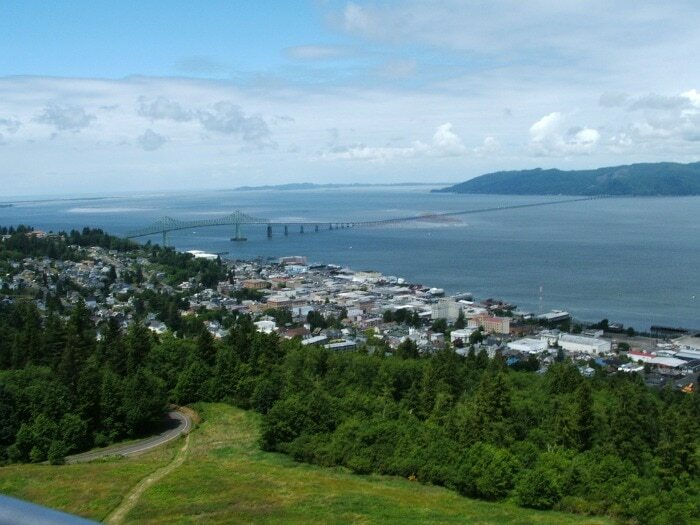 The highway hugs the river, passes the Lewis and Clark National Wildlife Refuge, and brings you into the charming town of Astoria. With dozens of Victorian-era homes perched on the steep hillside above the bay, it’s easy to see why some call this town “Little San Francisco.” Don’t miss the historic Liberty Theater, recently restored to its art deco splendor. At the Columbia River Maritime Museum, you can learn about the maritime heritage of the mighty river, including the history of treacherous Columbia bar. Its Barbey Maritime Center offers classes on wooden boat building and traditional maritime crafts. Take a stroll on the Astoria Riverwalk Trail, where you can watch enormous freighters pass under the elegant span of the Astoria-Megler Bridge on their way out to sea. This is part of an epic two-week road trip to see all of Oregon’s 7 Wonders. See Day 3 or view the full itinerary here.